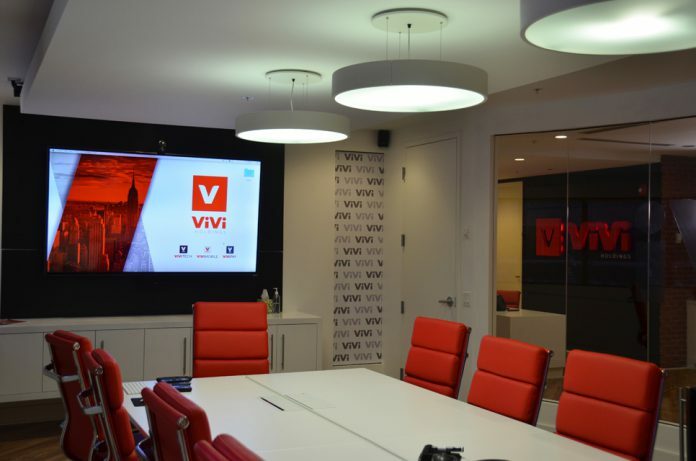 ViVi Holding, Inc., an international commerce company, opened its first U.S. headquarters in Boca Raton, Florida. 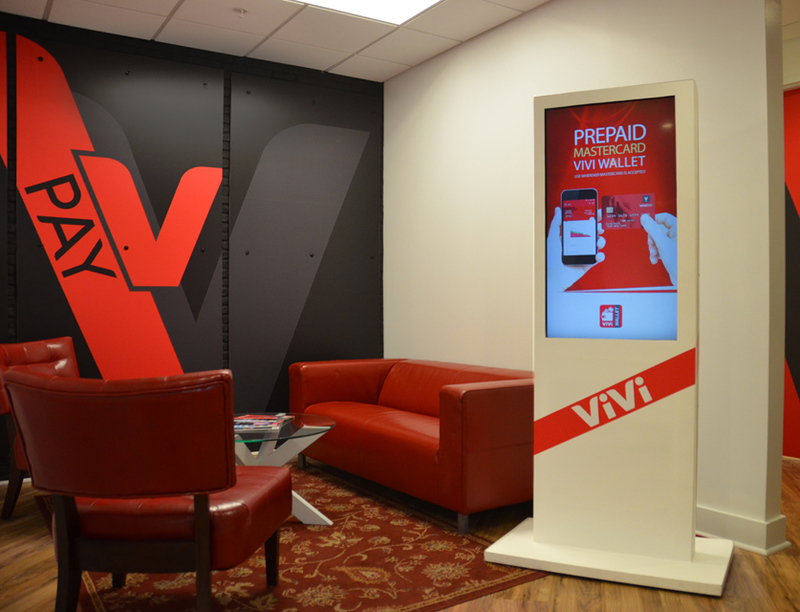 After finding a standard empty shell office space for their new headquarters at 951 W. Yamato Road, the company only had four weeks until its launch party to create a branded work environment for its subdivisions—ViVi Pay, ViVi Mobile and ViVi Tech. 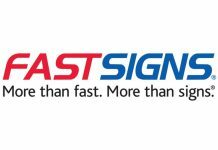 That’s when FASTSIGNS® of Boca Raton stepped in to help visually transform the space fast track-style. Backlit dimensional logos and a digital display welcome guests in the front lobby. Guests and employees alike are welcomed with backlit dimensional logos and a digital display in the front lobby. 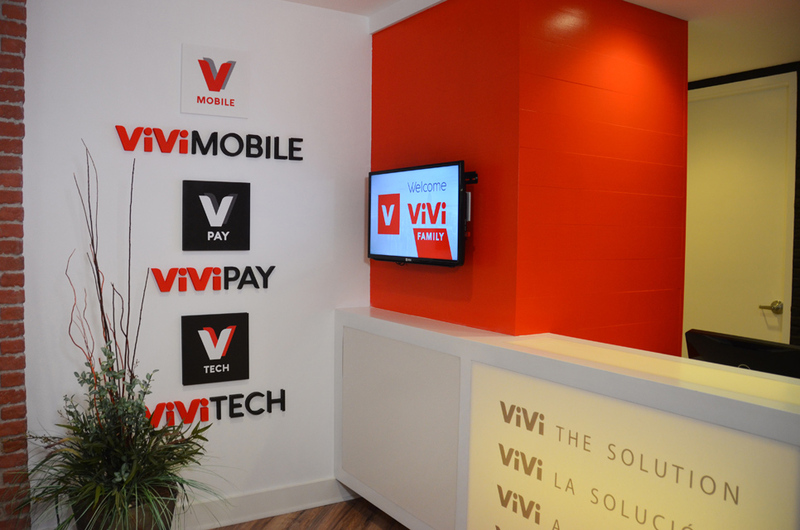 The reception desk is branded with vinyl lettering and an illuminated cabinet sign, conveying the company’s global reach. Interior glass partitions and doors create offices and meeting rooms; bold colors and frosted vinyl graphics were applied to create privacy, promote safety and complement the brand décor. 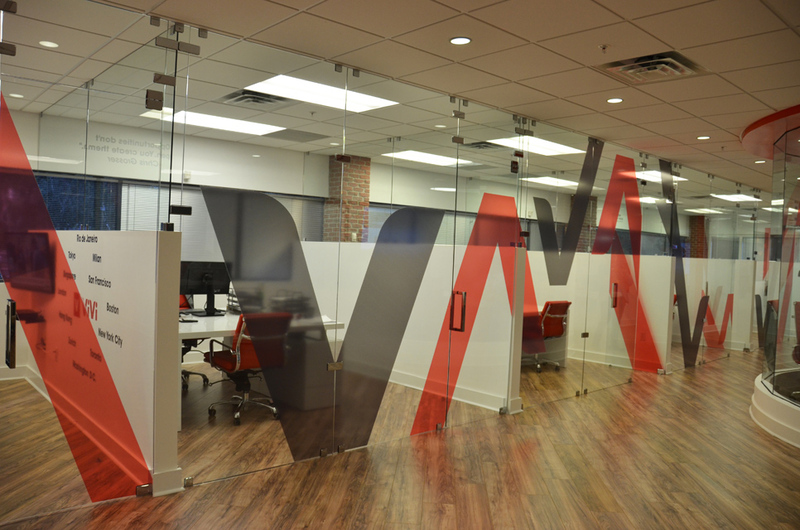 Bold colors and frosted vinyl graphics complement the brand decor. Identifying the company’s departmental areas, branded floor-to-ceiling wall graphics and column wraps were used. 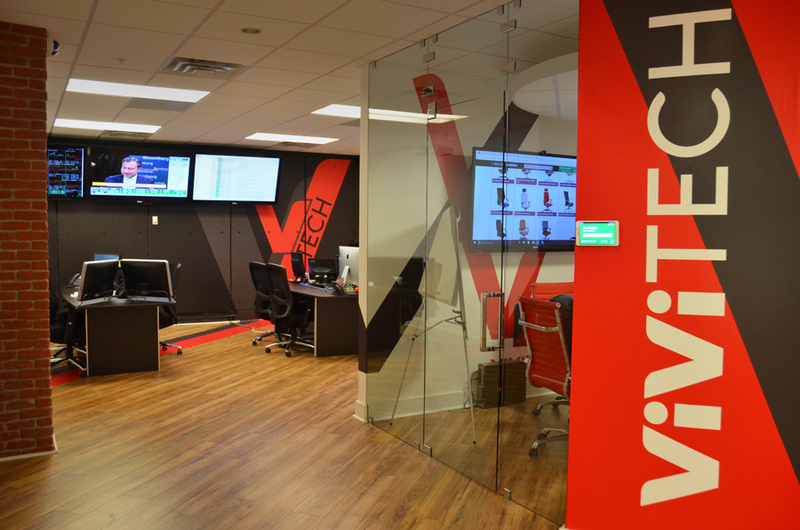 Branded floor-to-ceiling wall graphics and column wraps were used. FASTSIGNS of Boca Raton completed the entire fit out on time and within budget. 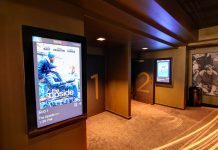 The team wrapped and installed two digital kiosks that display product information in an engaging way. In the employee kitchen and break rooms, the doors and counters were wrapped to identify the areas, and logoed wallpaper was used to accent the décor. Two digital kiosks display product information in an engaging way. Custom-framed prints of world maps were displayed in conference rooms and offices to reflect the company’s worldwide presence. 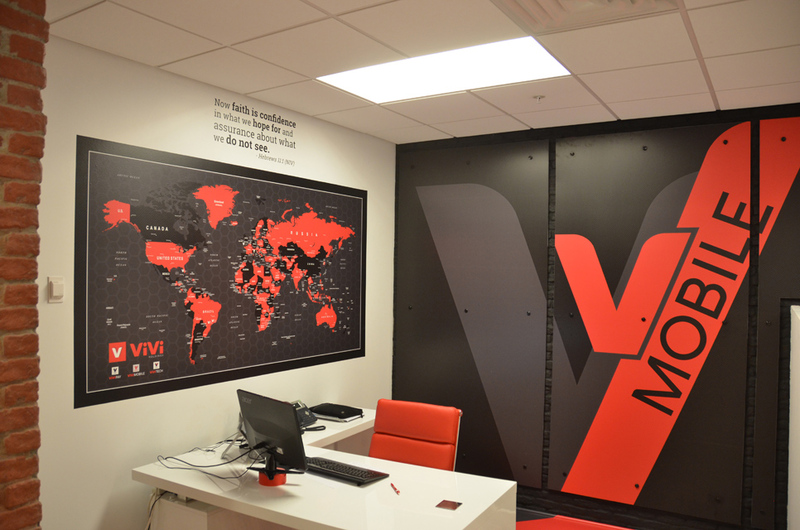 ViVi’s brand colors, red and black, were incorporated in the map designs. Additionally, FASTSIGNS of Boca Raton provided custom name badges, lanyards, business cards, packaging, and other printed materials. Custom-framed prints of world maps are displayed in offices. FASTSIGNS of Boca Raton is a locally and independently owned and operated sign, graphics and visual communications company that provides comprehensive visual marketing solutions to customers of all sizes—across all industries—to help them attract more attention, communicate their message, sell more products, help visitors find their way and extend their branding across all of their customer touch points including décor, events, wearables, digital signage, and marketing materials. 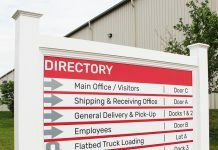 To learn more, call (561) 465-2325 or visit fastsigns.com/2043.